On the surface, economic development and the environment may appear to be concepts completely at odds with one another – two poles at opposite ends of a spectrum, a major societal trade-off. Usually it is the former that prevails. This is best illustrated in many cityscapes, which see pedestrian thoroughfares wedged between towering skyscrapers. From a different view however, the economy and urban environment can be two sides of the same coin. Economic statistics seem to suggest this. A study by George Washington University in 2016 shows that the average GDP per capita of the six American cities with the highest walkability, namely New York, Washington, D.C., Boston, Chicago, San Francisco and Seattle, amounted to US$72,110, this was more than 50 per cent higher than the US$48,313 of the seven least walkable cities. The tertiary education attainment level of a populace tends to be higher in more walkable cities too, according to studies. 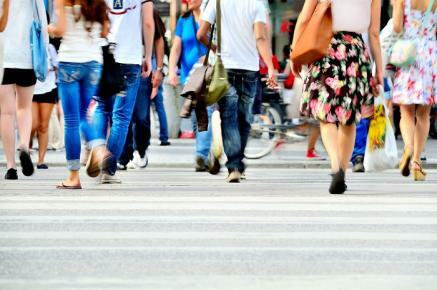 The data set indicates tertiary-level education rates go up to 37 to 51 per cent in the six cities ranked highest for walkable urbanism (New York, Washington, Boston, Chicago, San Francisco and Seattle), while in the seven least walkable cities, the levels are just 20 to 35 per cent. Portland, Oregon is a case in point. When most cities in the US were expanding their roadways in the 1970s, Portland implemented a state law to limit the width of lanes. Resources were allocated to enhancing the environment for cycling and walking. According to research by Portland-based economist Joe Cortright in 2007, the average daily mileage of Portlanders is four miles below the median of 33 miles in the most populous US metropoles. The four-mile gap is equivalent to 4 per cent, or US$26 million, of the city’s total revenues that can be used to boost the economy. The number of Portland millennials with college degrees has doubled, and is now five times higher than the national average. Attracting and keeping talent has always been of great importance to Hong Kong. But many times, it forgets that liveability is a major engine of economic development. Building a more competitive city does not mean space for pedestrians needs to be sacrificed. The Walk21 Hong Kong Conference took place at the Hong Kong Convention and Exhibition Centre last month. Co-organized by Civic Exchange, world-renowned scholars, civil society groups and top officials convened to discuss how "pedestrian-first" environments can benefit public health, improve economies and promote social inclusion, and how these solutions could be viably adapted to life in Hong Kong. You may recall the Sunday late September this year when traffic was barred off in a large section of Des Voeux Road in Central. The busy street which is usually overcrowded with cars and busy urbanites speeding from one place to another was replaced with a pedestrian-friendly zone which encouraged people to take the time to enjoy the area rather than simply race through it. 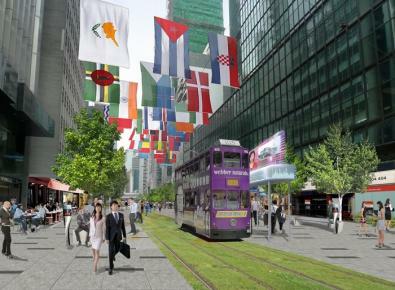 Walk21HK is about embracing such alternatives, and while that was simply one experiment on a single Sunday, they’re hoping given how successful it was that it has set a precedent for future initiatives that encourage walkability downtown. “Walking puts the people first” was the motto of Walk21HK; indeed, it is hard to argue with! To stay up to date with Walk21, connect with them via Facebook by clicking here.